Nerissa Golden is a media strategist, business innovations specialist, speaker, and author. Her many publications include 30-Day Guide to Living Happy, Like. Follow. Lead, Mastering Social Media for Small Business, and Island Days (illustrated poetry collection about growing up in the Caribbean). Nerissa has been an advocate for entrepreneurship across the Caribbean for more than fifteen years and recently founded Maverick Endeavours which is focused on helping companies push through barriers and access larger markets. She was also recently certified by InfoDev-World Bank to conduct a programme for women on Montserrat and Anguilla. As the CEO of Goldenmedia, Nerissa develops cutting edge communications strategies for her clients in the public, private and non-profit sectors. She was an Associate Producer for The Skin by HAMAFilms, managing its international publicity campaign, garnering it access to film festivals around the Caribbean and North America. She also works with emerging artists to develop a brand strategy which positions them to make an impact across multiple platforms. Her passion for sharing positive news and information has led to the creation of Emerald Vibes Television and Discover Montserrat, the island’s leading online daily news site. 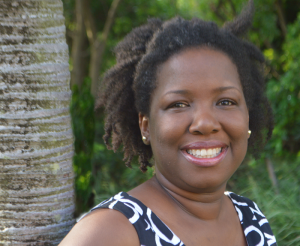 She received the 2012 LIME Montserrat’s Technology Award and was named one of TechLink’s 2013 Caribbean Innovators for her work in technology advocacy, education, public awareness, and innovative solution implementation. She is a founding member of Montserrat’s National ICT Council and has conducted entrepreneurship, social media and other technology-focused workshops for Montserrat’s Department of Youth Affairs, the Eastern Caribbean Central Bank and the University of the West Indies Open Campus. She has also been a consultant with CARICOM, the Barbados Youth Business Trust and the Caribbean Telecommunications Union. The revolution is being televised, tweeted, Instagrammed and Facebooked. With computers, video and audio equipment in the palms of our hands, no one needs to wait to hear the news at 6 pm. Now, all day, every day, we can get the news as it happens. What does this mean for the value of journalism? How can movements, governments, individuals harness the technology to present information that transforms and mobilises action?